I read an article in the Wall Street Journal about a recent study that concluded that motion-based lighting is the most effective technique for drawing motorists' attention. I believe the recommended that cyclists wear a lighted strap around their ankles so their leg movement will be visible from any angle. Do any products exist yet like this? I have used something similar to the blue one and it works as described, but they're not bright enough to see with. 2x CR2016 batteries don't last long, and CR2032 are only marginally better. 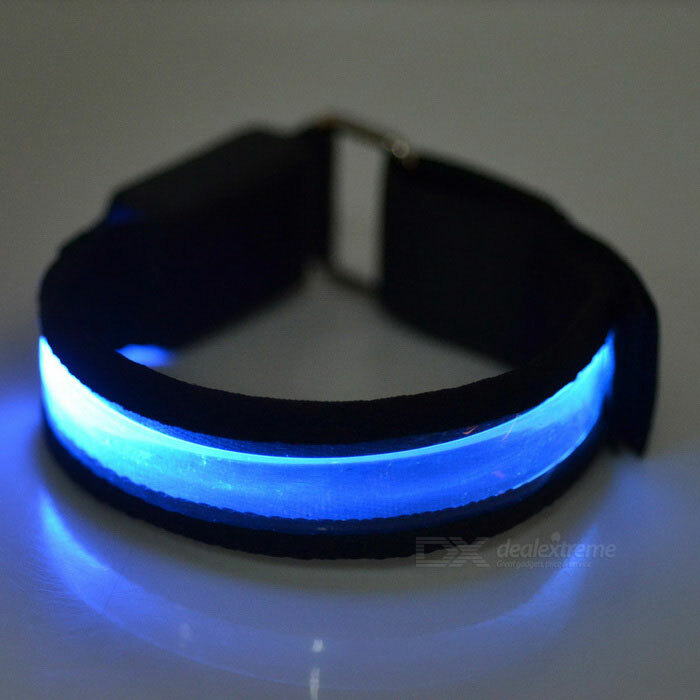 You could also get the same effect using electroluminescent wire and stitching it to a velcro strap. The easiest solution is to use a small red rear light and clip it to the back of your traffic-side foot or pedal. Some risk of it falling off though. Not the answer you're looking for? Browse other questions tagged safety lighting visibility or ask your own question.